"For after the book of which I have spoken shall come forth, and be written unto the Gentiles, … there shall be many which shall believe the words which are written." Nephi prophesied that after the Book of Mormon would come forth unto the Gentiles, “there shall be many which shall believe the words which are written” (2 Nephi 30:3). This prophecy began to be fulfilled almost immediately after the Book of Mormon was published and missionaries began to distribute it throughout the world. In June 1830, Joseph Smith set apart his younger brother, Samuel, as the “Church’s first officially called missionary.”1 As a teenager, Samuel had gathered with his family to hear Joseph’s stories about the gold plates and the angel Moroni.2 He later became one of the Eight Witnesses to the Book of Mormon and was privileged to see the plates and heft them for himself (see Testimony of Eight Witnesses). In the twentieth century, Church leaders steadily increased their focus and emphasis on the Book of Mormon in the realms of Church education, spiritual edification, and missionary work.10 However, it was largely through the inspired teachings of President Ezra Taft Benson that the book has achieved the level of priority that it currently holds among Latter-day Saints. According to Griffiths, through President Benson’s efforts, “the Book of Mormon reemerged as the primary tool for conversion.”11 This effort has been continued by President Benson’s prophetic successors,12 and today the Book of Mormon plays an unprecedented role in bringing people unto Christ and His restored Church. When Samuel Smith started out on his mission, there was no missionary training center to teach him, no mission president to direct him, and no senior companion to tutor him. All he had, as “he walked alone into towns near Palmyra, New York,” was a “knapsack full of copies of the recently printed Book of Mormon.”25 Yet, the converting power of only a few shared copies of the Book of Mormon led thousands to the restored gospel of Jesus Christ. Casey Paul Griffiths, “The Book of Mormon among the Saints: Evolving Use of the Keystone Scripture,” in The Coming Forth of the Book of Mormon: A Marvelous Work and a Wonder, ed. Dennis L. Largey, Andrew H. Hedges, John Hilton III, and Kerry Hull (Salt Lake City and Provo, UT: Deseret Book and Religious Studies Center, Brigham Young University, 2015), 199–226. Preach My Gospel: A Guide to Missionary Service (Salt Lake City, UT: The Church of Jesus Christ of Latter-day Saints, 2004), 103–114, online at lds.org. Ryan Carr, “The First Latter-day Missionary,” Ensign, September 2004, online at lds.org. Ezra Taft Benson, “Flooding the Earth with the Book of Mormon,” Ensign, November 1988, online at lds.org. 1. Ryan Carr, “The First Latter-day Missionary,” Ensign, September 2004, online at lds.org. 2. These events were recalled in detail by William Smith, a younger sibling to both Joseph and Samuel. See Richard Lloyd Anderson, “The Trustworthiness of Young Joseph Smith,” Improvement Era 73, no. 10 (1970): 83–84; Kyle R. Walker, William B. Smith: In the Shadow of the Prophet (Salt Lake City, UT: Greg Kofford Books, 2015), 41–62. 3. When Samuel gave the Book of Mormon as a gift to Rhoda Young Green (Brigham Young's sister), he explained that she should “ask God, when she read it, for a testimony of the truth of what she had read, and she would receive the Spirit of God, which would enable her to discern the things of God.” History, 1838–1856, 1 May 1844–8 August 1844, p. 289, online at josephsmithpapers.org. 4. See Carr, “The First Latter-day Missionary,” online at lds.org. For further information about Samuel Smith, see, LaRene Porter Gaunt and Robert A. Smith, “Samuel H. Smith: Faithful Brother of Joseph and Hyrum,” Ensign, August 2008, 44–51, online at lds.org. 5. Parley P. Pratt, The Autobiography of Parley Parker Pratt, ed. Parley Parker Pratt (New York, NY: Russell Brothers, 1874), 38. For more on the role of the Book of Mormon in Parley P. Pratt’s conversion, see Terryl L. Givens and Matthew J. Grow, Parley P. Pratt: The Apostle Paul of Mormonism (New York, NY: Oxford University Press, 2011), 27–29. 6. “Testimony of Brother E. Thayre Concerning the Latter Day Work,” True Latter Day Saints’ Herald 3, no. 4 (1862): 79–80. See also, Matthew McBride, “Ezra Thayer: From Skeptic to Believer,” Revelations in Context, December 12, 2012, online at history.lds.org. 7. See Casey Paul Griffiths, “The Book of Mormon among the Saints: Evolving Use of the Keystone Scripture,” in The Coming Forth of the Book of Mormon: A Marvelous Work and a Wonder, ed. Dennis L. Largey, Andrew H. Hedges, John Hilton III, and Kerry Hull (Salt Lake City and Provo, UT: Deseret Book and Religious Studies Center, Brigham Young University, 2015), 202; Lisa Olsen Tait, “‘I Quit Other Business’: Early Missionaries,” Revelations in Context, April 10, 2015, online at history.lds.org. 8. Griffiths, “The Book of Mormon among the Saints,” 207. 9. See Book of Mormon Central, “Was the Book of Mormon Used as the First Church Administrative Handbook? (3 Nephi 27:21–22),” KnoWhy 72 (April 6, 2016); "Why Did the Lord Quote the Book of Mormon When When Reestablishing the Church? (3 Nephi 11:24)," KnoWhy 282 (March 3, 2017). 10. Griffiths, “The Book of Mormon among the Saints,” 210–216. See also, Noel B. Reynolds, “The Coming Forth of the Book of Mormon in the Twentieth Century,” BYU Studies 38, no. 2 (1999): 6–47. 11. Griffiths, “The Book of Mormon among the Saints,” 218. 12. Griffiths, “The Book of Mormon among the Saints,” 218–219. 13. Preach My Gospel: A Guide to Missionary Service (Salt Lake City, UT: The Church of Jesus Christ of Latter-day Saints, 2004), 103, online at lds.org. 14. 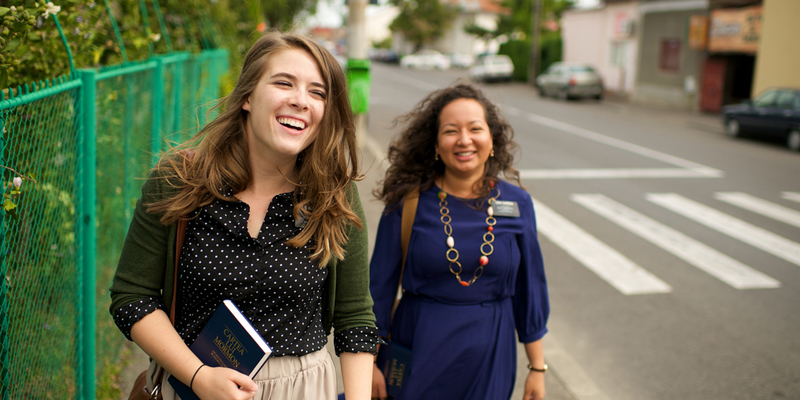 Preach My Gospel: A Guide to Missionary Service, 104. 15. See C. Robert Line, “‘With Power and Authority of God’: Principles of Missionary Success,” in Living the Book of Mormon: Abiding by Its Precepts, ed. Gaye Strathearn and Charles Swift (Salt Lake City and Provo, UT: Deseret Book and Religious Studies Center, Brigham Young University, 2007), 211–222. 16. See Mosiah 11; 18; Alma 4–15; 31–34; Helaman 6; 3 Nephi 27:1. 17. See Jacob 1:17; Alma 5:46; Alma 8:26; Alma 17:2–4, 19. 18. See 2 Nephi 1:1; Alma 10:12; Helaman 5:17–52. 19. See Book of Mormon Central, “What is the Doctrine of Christ? (2 Nephi 31:21),” KnoWhy 58 (March 21, 2016). 20. For a discussion of the text’s emphasis on narrative theology, see Book of Mormon Central, “What Was Mormon’s Purpose in Writing the Book of Mormon? (Mormon 5:14),” KnoWhy 230 (November 14, 2016). 21. See Ezra Taft Benson, “The Book of Mormon and the Doctrine and Covenants,” Ensign, November 1987, online at lds.org. 22. Ezra Taft Benson, “Flooding the Earth with the Book of Mormon,” Ensign, November 1988, online at lds.org. 24. See “Sharing via Social Media,” online at lds.org. 25. Carr, “The First Latter-day Missionary,” online at lds.org. 26. Ezra Taft Benson, “The Book of Mormon—Keystone of Our Religion,” Ensign, November 1986, online at lds.org. 27. Benson, “Flooding the Earth with the Book of Mormon,” online at lds.org. 28. LeGrand R. Curtis Jr., “There Is Power in the Book,” Ensign, November 2016, 71, online at lds.org.